“I’m having a girlie night in tonight with some friends.” Barely had my wife finished uttering these words and my rucksack was being stuffed and hoisted onto my shoulder. 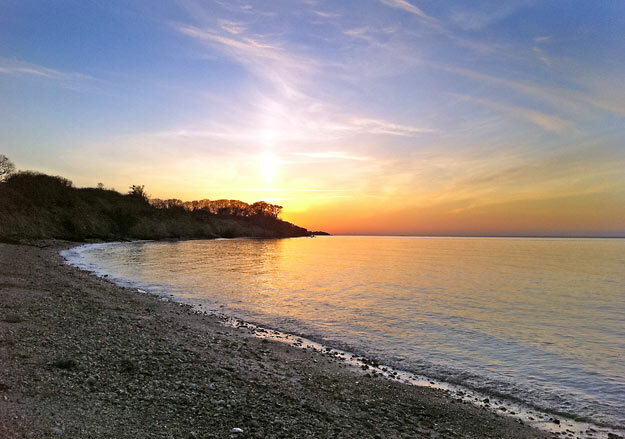 I knew just the spot… a seaside location about an hour’s walk away, and usually deserted. The weather was clear, cold (2-3 degrees) and not a breath of wind. The joy of walking on one’s own is you see and hear more; wildlife not scared away by the idle banter of a pair. A woodpecker, wren, robin and not to mention a surprised fox, and that was only on the way there. Tarp up and fire going, just big enough to keep warm and have a brew. As light faded, the tide retreated and it was just the oyster catchers, the curlew and the chill. I’m sure a fox visited in the night, but my hat was still on my head when I woke. The dawn chorus is a truly wonderful sound when you are on the coast… who needs an alarm clock when you have Brent geese! A brew, pack up and head for home along the beach. More wonderful creatures from limpets to shore crabs. My reason for sharing my short trip is to hopefully inspire, and also help people to realise that not all of our forays into the outdoors have to be grand vogues that take weeks – some can be short and sweet and just as fulfilling. 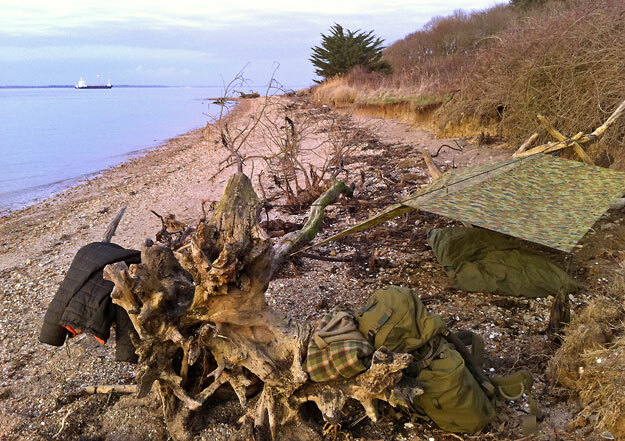 This entry was posted in Bushcraft Courses & Expeditions, The Woodlore Team on March 8, 2013 by Woodlore Team. Inspiring pal….. Having just come back from the arctic, this sort of thing appeals. As you said, pack the bergan and off you go!!!! Just what the doctor ordered. Must find out OR organise a girlie night for the Chief of Staff. Absolutley smashing location and an interesting article too. Great stuff, you have a lot in common with Al Humphreys and his microadventures. There’s no excuse not to get out there if only for a night. The last photo is truly stunning.